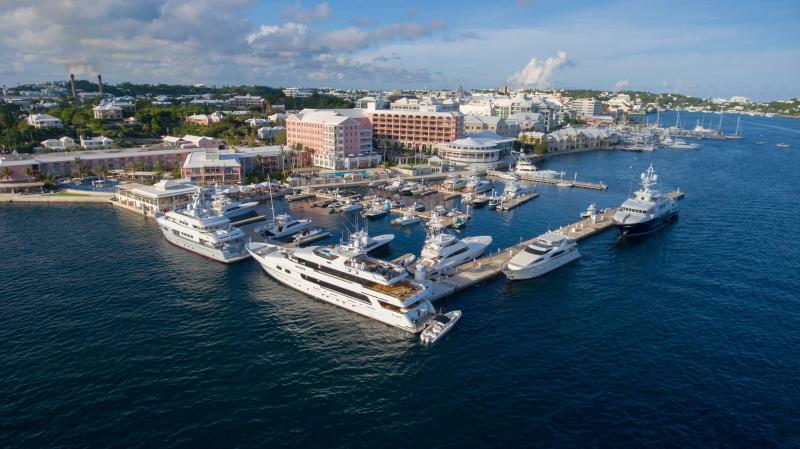 Having weathered competitive and recessionary challenges, Bermuda is experiencing a renaissance of sorts. Turbulence and uncertainty in other global hubs are making the industry’s traditional incubator of change look very much like a safe harbour for companies seeking robust and innovative risk-transfer solutions. Bermuda:Re+ILS reports. After a tough recession and a period when competition from other domiciles intensified, a sequence of events in the past 12 months have conspired to place Bermuda at the very heart of the risk-transfer business globally and well positioned to become stronger and more vibrant than it has ever been. Ironically perhaps, some of the boost that Bermuda has enjoyed and looks set to benefit from stems from uncertainty and turbulence in other parts of the world. Ongoing instability in the Middle East and economic uncertainty in key parts of Asia combine to make those regions less attractive as a hub for multinational companies. Perhaps most significant of all, the UK’s decision to leave the European Union could have important consequences for many re/insurers based in the UK which trade heavily with Europe—and many other players that use the UK as a gateway to Europe. Many are already reviewing their corporate structures and strategies on the back of the surprise vote, the full implications of which will become clear only in the long term. Bermuda’s Solvency II equivalence, implemented earlier in 2016, suddenly looks very significant and a potential springboard for boosting market share and prosperity. Before the so-called Brexit vote, securing Solvency II equivalence was a huge feather in Bermuda’s cap and a badge of credibility it could use to set itself apart from other domiciles—both offshore and onshore. Enhancing that status is the fact that on the other side of the Atlantic, the US National Association of Insurance Commissioners (NAIC) designated Bermuda a ‘qualified’ jurisdiction in 2015—another firm vote of confidence in the way the Island handles its business. Following Brexit, such accolades underscore Bermuda’s long-term stability in an age of uncertainty and change and are very handy tools for companies reviewing their strategic options in the aftermath of the referendum. Some companies have already indicated their thoughts in this direction. Robert Childs, the chairman of Hiscox, for instance, which redomiciled to Bermuda in 2006, has said the company is pondering forming a European operation in the wake of the Brexit vote, to service the $260 million-worth of business it writes in Europe. But he also said Bermuda could benefit from Solvency II equivalence and pointed out the UK would now have to apply for such status, a process that could take a long time. This new dynamic and the fresh attraction of Bermuda was already becoming apparent before the Brexit vote—now, that process could accelerate. “NO MATTER HOW THE EXIT UNFOLDS, WE REMIND OUR BUSINESS PARTNERS IN THE UK THAT BERMUDA CONTINUES TO OFFER THE SAME STABLE, ATTRACTIVE, EFFECTIVE AND PROVEN BLUE-CHIP INTERNATIONAL BUSINESS DOMICILE AS IT HAS FOR THE PAST 70-PLUS YEARS. TODAY, IN FACT, BERMUDA IS BETTER PLACED THAN EVER TO CATER TO THE CONTEMPORARY NEEDS OF INTERNATIONAL BUSINESS.” ROSS WEBBER, CEO OF THE BDA. XL Group, which trades as XL Catlin, completed a move from Dublin to Bermuda in mid-2016, a very significant step in the context of the company’s long and close association with Bermuda, which stretches back to 1986. The company said that its redomestication was driven by a mixture of the fact that its Bermuda presence had increased substantially since its acquisition of Catlin the year before and the fact of Bermuda’s securing Solvency II equivalence. “Establishing our corporate home in Bermuda is a natural step for XL. XL has had a presence in Bermuda since 1986, which grew significantly following the transformative transaction with Bermuda-based Catlin last year,” Mike McGavick, the CEO of XL Catlin, said of the move. The company stressed the switch would have no effect on its global effective tax rate and also implied the Irish regulator and the Central Bank of Ireland (CBI) had played a part in its making the decision to move. “XL Ireland engaged in numerous discussions with the CBI regarding group supervision, following which, XL Ireland and the CBI concluded the BMA [Bermuda Monetary Authority] would be best situated to serve as the XL group of companies’ group-wide supervisor and be in a position to approve the XL group of companies’ internal capital model,” it said in a filing with the US Securities and Exchange Commission (SEC). The company also highlighted Bermuda’s long track record as a regulator in this market and the fact Solvency II equivalence now makes this even more powerful. XL Catlin is not alone. A number of other players of note have chosen to call Bermuda home in recent times—a reversal of the trend of previous years. Qatar Reinsurance Company completed a move to Bermuda in 2015, which was significant because of its global growth ambitions, long-term motivation of its parent company Qatar Insurance Company, and the fact it could have chosen any domicile globally. Gunther Saacke, chief executive of Qatar Re, said the company chose Bermuda because of its international reputation and proximity to the US market along with, what was at the time, its expected Solvency II equivalence. “The regime’s recognition gained over decades of proven reliability stands for uncontested best practices and will support our ability to access and compete throughout the world’s markets in a credible manner,” he said. Saacke also stressed the reinsurer wanted closer links to the broker community, which he felt would be possible in Bermuda. To the commitment these two large reinsurers have made to Bermuda should be added the arrival of a number of life reinsurers in recent years, a sector that has quietly been growing on the Island, and a steady stream of new captive formations—solidifying Bermuda’s role as the world’s largest captive market, with 800 companies generating nearly $50 billion in annual gross written premiums. Thanks to a mixture of extraordinary foresight and some clever manoeuvring, the captives sector on Bermuda, the leading domicile globally for this form of risk transfer, remains exempt from Solvency II regulation, meaning that what could be a cumbersome regulatory burden does not weigh on a more straightforward sector which is sensitive to over-regulation. In many ways, this is just as significant as equivalence because it also shows that European regulators felt comfortable leaving the BMA to its own devices on what is a vital part of the economy for Bermuda. Solvency II equivalence is significant for Bermuda for yet another reason. The implementation of the regulation acted as a trigger for many European countries to adjust their own regulations on which reinsurers their domestic insurers can trade with. Many countries adopted an approach that limited this to reinsurers domiciled either in a Solvency II- compliant country or in one with equivalence—such as Bermuda. Remarkably perhaps, the US does not currently have either status. This means that more US reinsurers are now leaning on Bermuda subsidiaries to write business in Europe. While negotiations are underway to resolve this situation, these may take many years to be finalised. The situation could be made more complex still by the UK’s departure from the EU. Especially because of its very close historic links with the UK, Bermuda looks a very favourable jurisdiction from which to write business in either location. In effect, it is likely to be able to offer companies the best of both worlds. Bermuda’s government and regulator have bilateral relationships with the UK and EU that have led to important legal agreements on tax cooperation and transparency, along with global recognition of Bermuda’s compliance with international standards. The Island currently has more than 90 treaty partnerships with nations around the world and has been recognised as a leader on tax transparency issues by the Organisation for Economic Co-operation and Development (OECD), the Financial Action Task Force (FATF), and G20 nations. Brad Kading, president of the Association of Bermuda Insurers and Reinsurers (ABIR), notes his members are seeing an uplift because of this dislocation between markets which is yet to be resolved. All this simply enhances the very compelling business case of Bermuda, which has never really changed. Bermuda has always boasted more talent in the risk-transfer industry per square mile than any other country in the world (only London can really compete but, at the risk of splitting hairs, it is clearly not a country). Bermuda’s rated, well-capitalised balance sheet and established trading lines also solidify it as a highly attractive market beyond Lloyd’s. The talent on the Island has been developed and strengthened by many cycles of risk transfer and the challenges and change those inevitably bring. Hard and soft markets have come and gone. Major, industry- changing, claims have been paid in full; new ‘classes’ of reinsurers and risk-transfer vehicles have been born, evolved and thrived or died—and the industry has marched on, becoming stronger. The importance of Bermuda in the aftermath of large events and to some of the other risk-transfer hubs globally should not be overlooked in this context. According to a 2015 report commissioned by the Bermuda government from Washington DC-based economist Charles Ludolph, the jurisdiction supports an estimated 500,000 jobs worldwide—including 70,000 in the UK and 330,000 in North America—through trade, foreign direct investment and portfolio investment capacity. Its most obvious contribution to global economies is the ability of its companies to step in and do their job in the aftermath of large catastrophes—natural or man-made. Between 2001 and 2015, Bermuda-based companies have contributed $35 billion in payment of catastrophe claims to US clients alone, including 9 percent of World Trade Center claims and 30 percent of insured losses from the US Gulf storms such as Hurricanes Katrina, Rita and Wilma. The Bermuda market also contributes 35 percent of capacity (£94 million) for Lloyd’s of London. Given the Island’s sophistication around risk transfer, matched with a world-class infrastructure, robust regulation and a deep pool of expertise, Bermuda has often acted as an incubator for pioneering ideas. When innovation has occurred in the risk-transfer industry it has often either been born on Bermuda or eventually moved to and thrived on the Island. The evolution of the insurance-linked securities (ILS) market has been 20 years in the making with the likes of AIG, Hannover Re and USAA involved in the first deals in the mid-1990s, partly as a response to the devastating effects and high losses stemming from Hurricane Andrew in 1986 and the Northridge Earthquake in 1994. Now, however, the concept of involving capital-markets investors in insurance-related risks using collateralised policies is rapidly transforming the industry and will continue to do so. It has opened the Pandora’s box of the trillion-dollar-strong capital markets and let it loose on the risk-transfer industry. Everything from a pure-play cat bond to the proliferation of sidecars to structured bonds that shift operating risk into the capital markets are merely a logical outcome of that first relatively simple concept being developed. Having excelled in the cat market, Bermuda also invented hybrid ILS models in which funds are aligned with big commercial reinsurance. In this way, Bermuda is recognised as the world hub of such innovation. Some 75 percent of all ILS issued globally, representing approximately $19 billion in assets under management, is listed in Bermuda, comprising all types of risks from all parts of the world from Italy to China to the US and Canada. While this sector lacks the infrastructure and headcount of the traditional reinsurers that once formed on the Island in waves, the importance of this sector to Bermuda—and Bermuda’s contribution to its development—should not be underestimated. The convergence and ILS industry generated at least 400 jobs in the jurisdiction by the end of 2015, representing a 30-percent increase over the previous year, a July 2016 report commissioned by the Bermuda Business Development Agency (BDA) found. The research report, Leading the Way: Bermuda’s ILS Market 2016, found the fast-evolving industry sphere was responsible for more than $100 million in payroll, with those employed in the sector representing 9 percent of all people working in the Island’s globally operating companies last year. Overall, the study estimated a total economic impact of $734 million from Bermuda-based insurance-linked funds. The evolution of ILS on Bermuda is also a case study of the Island’s proven ability to adapt, move quickly and leverage its expertise in risk transfer to become an industry leader. Before 2009, there were no ILS domiciled in Bermuda. That year, the country introduced legislation allowing the creation of Special Purpose Insurers—specifically designed to attract ILS and collateralised insurance companies. Greg Wojciechowski, Bermuda Stock Exchange (BSX) CEO and head of ILS Bermuda, an industry association tasked with promoting economic development through the growth of ILS and alternative risk transfer in Bermuda which produces the annual ILS Convergence event in Bermuda every November, with BDA as lead sponsor, agrees.